For two years, a Viking exhibition with objects from Gustavianum – Uppsala University Museum – will be displayed at various venues around the US. In late April, a ship will reach New York bringing the exhibition “The Vikings Begin” which will embark on a two-year tour of the US. 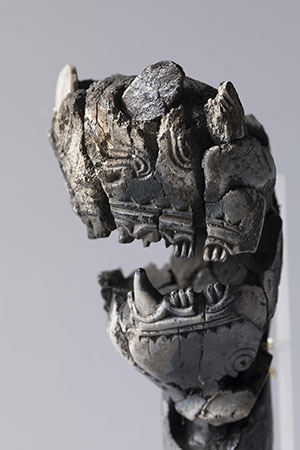 On display will be a selection of 1,300-year-old items from the pre-Viking Age. Usually in storage at Gustavianum in Uppsala, they have never crossed the Atlantic before. 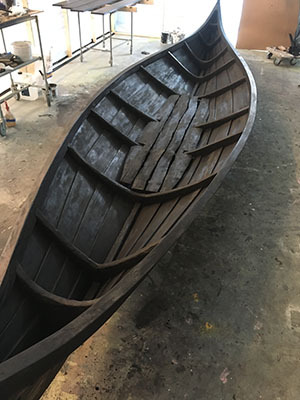 But now the mysterious world of the early Vikings will be revealed to a wider audience, with a premiere at Mystic Seaport in Connecticut in May. collection, from the 7th century. 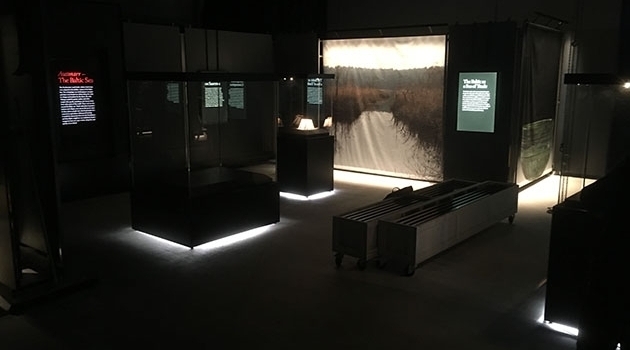 The exhibition The Vikings Begin – Treasures from Uppsala University was produced by Gustavianum, Uppsala University Museum, in collaboration with archaeologists at the University. 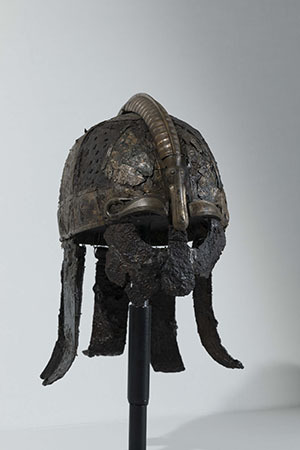 It aims to shed new light on the emergence of the Viking Age, based on advanced research and a trove of world-class objects from the University’s collections. This will be the first time items from this period have been displayed in America. The exhibition contains magnificent weapons, and also small treasures such as jewellery and objects of magical significance. It tells the story of how the Viking Age began, and describes how the objects relate to the rest of the world; their spiritual and supernatural connotations; the role of war; the importance of water, waterways and trade routes, and how they affected development. Viking society dominated Sweden, Denmark and Norway from around 750 CE until the mid-11th century – some 300 years. During this time, the Vikings travelled far and wide in the world. Their settlements have been found on the shores of the Baltic Sea and banks of Russian rivers, in the Byzantine Empire and what is now Britain, along the Mediterranean coast and in North America. Gustavianum curates a magnificent cultural heritage. Its huge collections include an assemblage of spectacular objects from the burial site in Valsgärde, north of Uppsala. There, Uppsala archaeologists have carried out two major excavations, in the 1920s and 1950s. The jewellery, weapons, textiles and utility items found by researchers have greatly boosted our understanding of Nordic society in ancient times. Among the most intriguing aspects of the burial ground in Valsgärde are the long period in which it was used and the variety of grave types represented. There are numerous finds from the centuries preceding the Viking Age. The objects from Valsgärde tell a complex and interesting story of why and when Viking society actually began. A few years ago, Neil Price, a Professor at Uppsala, jointly with archaeologists John Ljungkvist and Charlotte Hedenstierna-Jonson, received a large research grant from the Swedish Research Council for the their “Viking Phenomenon” project. The collections from Valsgärde, in particular, are a key set of material evidence for answering questions on the rise of Viking society. For this reason, items from the collection are included in the exhibition that is now to be shown in the US. In the exhibition, the objects create a story in six “chapters”, which give an idea of ​​how society in the Vendel period developed and which features of Viking society were already beginning to emerge in the early 7th century. The researchers have provided documentation for articles and themselves written essays for an exhibition catalogue. In addition, Gustavianum has created scenography in which the objects are given prominence, as valuable treasures that tell stories of our ancient times. At the beginning of April the entire exhibition, except the items flown by courier, was loaded into three large containers. At the time of writing, they are on board a ship somewhere in the Atlantic, heading for New York Harbor.